​ Texas legislators assembled in Austin having campaigned on promises of meaningful property tax relief. A strident drumbeat of criticism singled out the unequal appraisal protest and appeal as a "corporate loophole" resulting in assessments falling short of the market value standard. As the curtain went up on the session, legislators faced an avalanche of bills addressing property taxes. They adopted more than 30 of the proposals. Much of the legislation addressed arcane situations. For example, one measure, HB 275, explicitly added "eggs" to the list of exempt farm products recited in section 11.16 of the property tax code. Others dealt with administrative issues such as changing requirements for annual applications for certain exemptions to a one-time application, or protecting the confidentiality of photos of property interiors taken by appraisal districts. However, several measures will likely have more wide-reaching effects. Perhaps the most noteworthy adopted act increased the school homestead exemption by $10,000. SB 1 amends the Texas Property Tax Code while SJR 1 proposes the constitutional amendment needed to ratify the $10,000 increase. Section 11.13(b) of the Property Tax Code governs the basic homestead exemption for school taxes and had remained at $15,000 since the early 1990s. State leaders saw an increase in this amount as the best way to provide property tax relief to disgruntled Texas homeowners. Obviously, school districts would likely face budget shortfalls because of the expanded exemption. Consequently, HB 1, which sets the state budget, included $3.8 billion to mitigate the impact of possible revenue losses to local school districts. Despite this so-called "hold harmless" provision, concern that taxing units might undermine tax relief by eliminating their separate additional optional percentage homestead exemptions prompted the exemption provisions to also stipulate that, "The governing body of a school district, municipality, or county that adopted an exemption under Subsection (n) for the 2014 tax year may not reduce the amount of or repeal the exemption. This subsection expires December 31, 2019." This passage seems to preclude dropping that exemption for at least four years. However, reports indicate that some school districts have moved to eliminate the optional exemptions before the law takes effect. Those actions suggest that promised relief may be far less than expected in some districts. Responding to political pressures, legislators insisted that the measure should apply to the 2015 tax year even though voters must approve the relief in an election on November 3rd. Officials at local taxing units sending tax bills before the election must base the total on the $25,000 total exemption and note that the result is a provisional tax bill. In the unlikely event that voters scuttle the intended relief, the tax liability would revert to the $15,000 exemption amount, raising homeowners' tax liabilities. For most of the disabled or over-65 homeowners with a frozen property tax liability, an added $10,000 exemption would provide no relief. To extend a benefit to those homestead owners, the legislation provides for a reduction in the 2014 tax ceiling equal to the amount of reduction resulting from the $10,000 exemption and the 2015 tax rate adjusted for any new improvements made during 2014. According to a study published by the District of Columbia, Houston's 2013 tax rate was $2.56 per $100 of assessed value. If school taxes composed 60 percent of that total, the increased exemption would reduce homeowner taxes by $154. However, the provision did not alter the 10 percent increase in taxable value allowed for homesteads by the Property Tax Code. Thus, a home formerly valued at $100,000 after the existing school tax exemption could increase to $110,000 with a new appraisal. The exemption would return the taxable value to $100,000, likely resulting in no change in tax liability assuming the tax rate remained the same. Therefore, appraisal increases may offset some of the anticipated tax relief. The Texas Constitution requires that taxation be "equal and uniform," meaning that properties with identical market values must incur identical tax liabilities. This provision bars appraisal districts from choosing favored taxpayers for preferential treatment. For example, an appraisal district cannot appraise homes of most owners at market value while setting a public official's home value at a fraction of its market value. This specification creates two possible avenues to seek relief in district court. 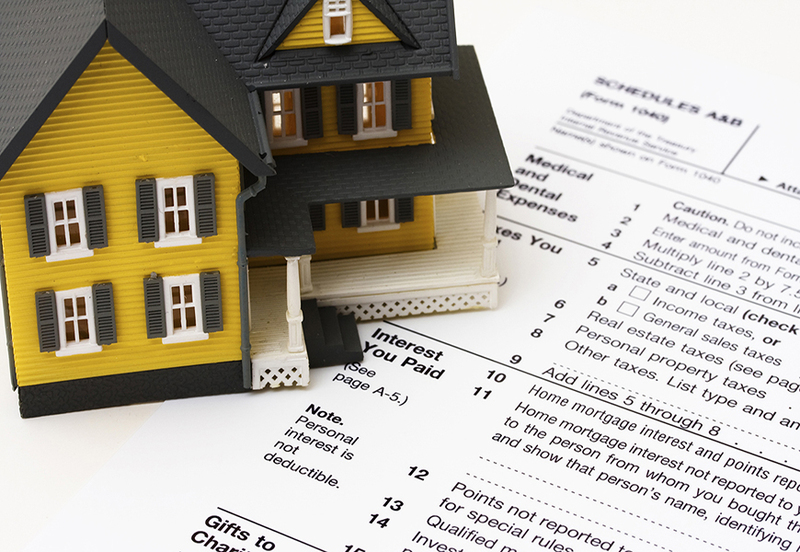 First, a taxpayer can dispute the appraised taxable value when it exceeds the market value of his or her property. Alternatively, the property owner might concede that the tax appraisal does not exceed market value, but that the appraisal represents a higher percentage of market value than the appraisals of other properties on the tax roll. When the argument centers on the issue of unequal appraisal for protest at the appraisal review board (ARB), Section 41.43(b)(3) of the Property Tax Code, or 42.26 (a)(3), establishes the grounds for granting relief. These sections instruct the ARB or court to grant relief when the subject's appraised value exceeds the median appraised value of a reasonable number of comparable properties appropriately adjusted. At the ARB, the appraisal district must prove that the value does not exceed the median. The burden of proof moves to the taxpayer in district court. The language appears to suggest an analytical approach roughly similar to the standard appraisal process. There, the opinion of market value derives from an analysis of a limited number of sold properties that are similar to the subject. This level of evidence of unequal treatment falls far short of the onerous standards specified in subsections (1) and (2) of the two code sections, making it easier to prove the case. In fact, prior to the addition of the language in subsection 42.26(a)(3), few if any taxpayers could afford the substantial sums required to meet the prescribed evidence in (1) and (2). After the (3) entered the code, unequal appraisal appeals became more prevalent, with numerous commercial and industrial taxpayers employing them to achieve sizable property tax savings. In some cases, buyers successfully argued for taxable value far less than the price they had just paid for the property because they provided evidence that competing, comparable properties enjoyed values well short of the value suggested by the market price. Critics decried these results, arguing that this "loophole" allowed well-heeled taxpayers to avoid paying a fair amount based on the property's market value. Articles appeared narrating this practice as twisting tax laws to favor corporations and commercial taxpayers at the expense of others. Legislative provisions poured in, attempting to eliminate or vastly curtail use of this unequal appraisal option. T​he selection of comparable properties and the application of appropriate adjustments for the determination of an appraised value of property by any person under Section 41.43(b)(3) or 42.26(a)(3) must be based on the application of generally accepted appraisal methods and techniques. Adjustments must be based on recognized methods and techniques that are necessary to produce a credible opinion. Critics of unequal appraisal appeals deemed this compromise to be inadequate. However, it does give appraisal district staff grounds for addressing perceived abuses both at the ARB and at the appeal stage. Chapter 41A of the Property Tax Code allows certain property owners to appeal an ARB decision using an assigned qualified arbitrator instead of filing a lawsuit in district court. Previously, only owners of residence homesteads as defined in Section 11.13 of the code or properties with appraised or market values of $1 million or less could avoid the expense of a district court appeal by opting for binding arbitration. SB 849 expands the previous qualifications to include properties with market value of $3 million or less, making arbitration accessible to more property owners. The act also changes the amount of the fee required to obtain binding arbitration. Instead of a $500 flat fee, the new schedule depends on aspects of the property under appeal. For owners of qualified homesteads, fees start at $450 but increase to $500 for homes with values in excess of $500,000. Non-homestead appeals start at $500 for properties with values of $1 million or less. The fee rises to $800 for properties between $1 million and $2 million and to $1,050 for the $2 million to $3 million properties. The comptroller's administrative fee remains at $​50. Generally, surviving spouses of totally disabled veterans qualify for a 100 percent exemption on their residence homestead. The veteran's exemption became operational in 2009 with the spouses' right entering the code in 2011. However, surviving spouses of veterans who had died prior to those dates were not covered by the exemption. HB 992 and HJR 75 will expand this right to those spouses if voters approve the required constitutional amendment on November 3, 2015.